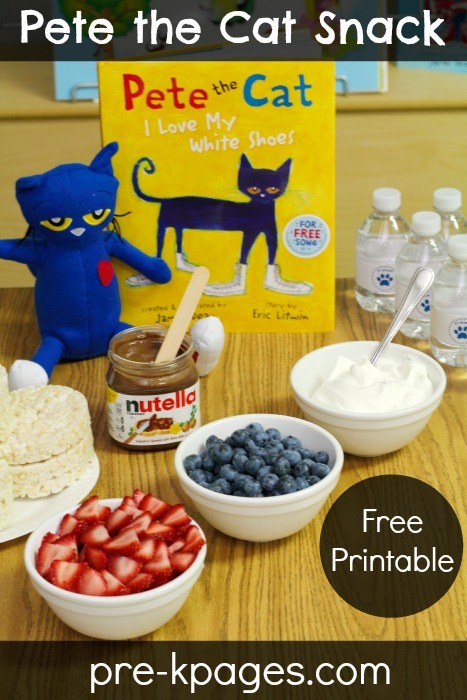 Do you read the Pete the Cat books to your students at the beginning of the school year? These are some ideas for using everybody’s favorite blue cat to familiarize your students with school and celebrate the start of a groovy year! I also made a few printables for you too, keep reading to get your copies. 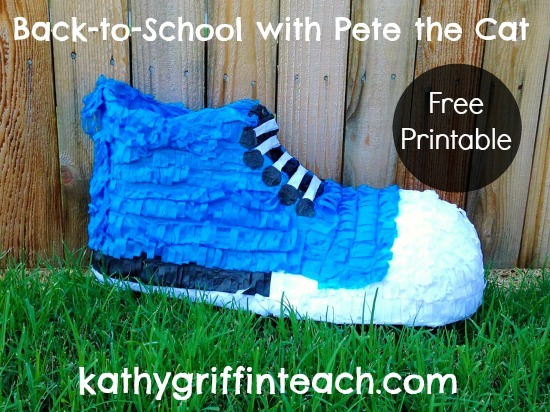 Searching for Pete is a huge hit with kids and is sure to be the highlight of your school year! This activity will familiarize your kids with their school building and important staff members they will be interacting with all year long. 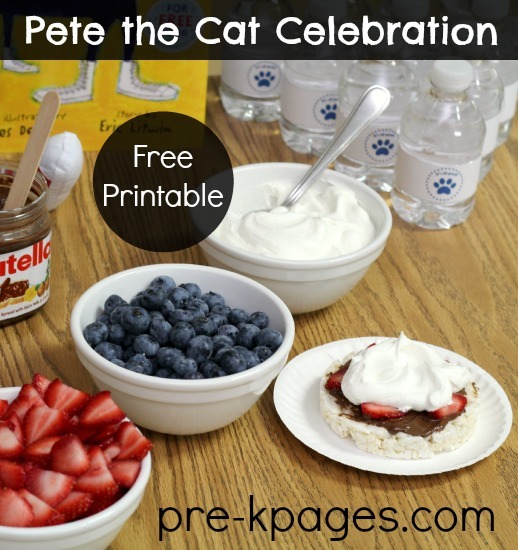 Start by reading all the Pete Cat books you can get your hands on the first week of school. At the end of the first week of school- or whenever you’re ready, set up your Pete hunt- continue reading for the directions. You could also do this activity as a scavenger hunt with parents at your Meet the Teacher event. I prefer to do this type of activity after the students are familiar with the Pete stories and the character so it is more meaningful to them. I also don’t like to try herding my kids through the hallways on the first day of school- it’s a recipe for disaster. Instead, I prefer to wait until they have become a little more comfortable with the school routine; it’s less stressful and more fun for everybody this way. 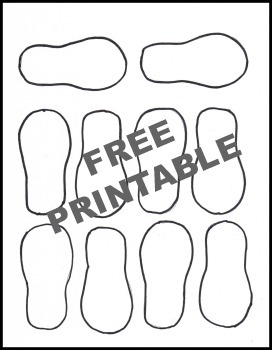 Print out the footprint template below and copy or trace on colored paper; red for strawberries, blue for blueberries, and brown for mud. Next, cut out the footprints. Then, determine which locations in the school you would like to visit. Some suggestions are; cafeteria, nurse’s office, principal’s office, school secretary, library, gym, music, and art. Discuss your plan with the person in each location and invite them to play along. 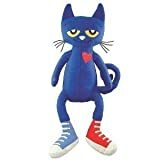 Place your plush Pete the Cat in the final destination on your school tour. When the children are otherwise occupied, place one set of footprints in the hallway leading away from your classroom and towards your first destination. If the children haven’t already noticed, ask them if they have seen Pete. When they can’t find him, suggest they look outside the classroom entrance. Follow the footprints to the first destination and ask the person located there if they have seen Pete. The person that works there will say “no” but call your attention to more footprints leading in another direction. Spend a few moments introducing the person to the children and explaining his or her role at school. Change the color of the footprints along the way to reflect the color changes that take place in the book. At your final destination the children will discover the plush Pete. 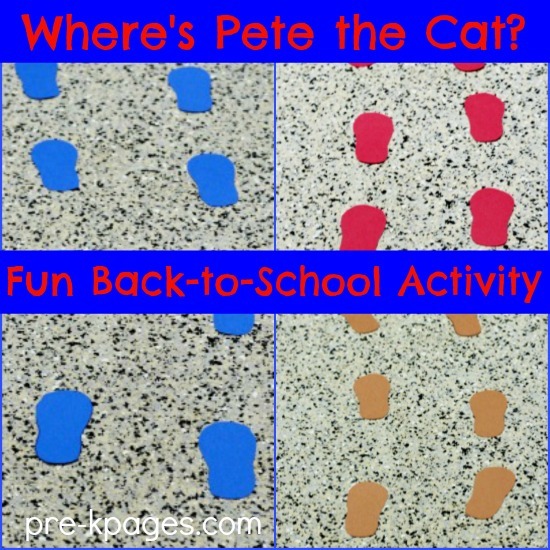 Download your Pete the Cat footprints above. When you return to the classroom you can celebrate with a delicious and healthy fruit pizza snack! I have included a printable picture recipe for you below. 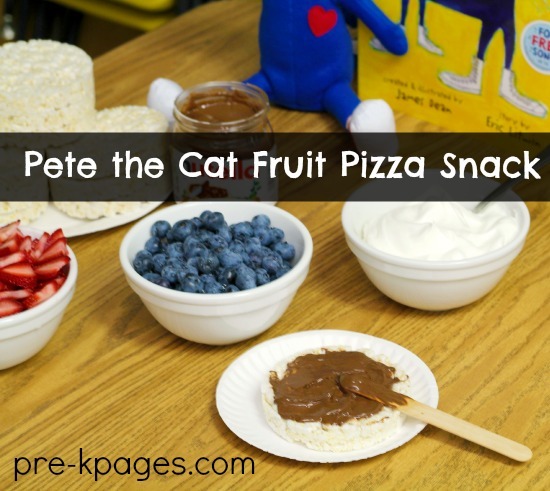 Your kids can follow the picture recipe to help them assemble their very own Pete the Cat fruit pizza snack. Just print the picture recipe and cut, and then place a copy at your assembly station. 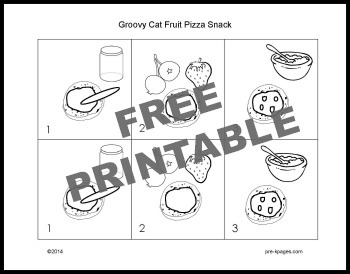 This activity will help support sequencing skills, left to right progression, and following directions. To assemble the fruit pizza snacks, first place a rice cake on your plate. Next, spread some Nutella (or nut free substitute) on your rice cake with the craft stick. Then, place some strawberries and blueberries on top of your rice cake. Finally, top your fruit pizza with whipped cream. You may be wondering why the whipped cream goes on last. The whipped cream hides the fruit, of course! Out of sight, out of mind, right? Click on the picture above to download the printable picture recipe. 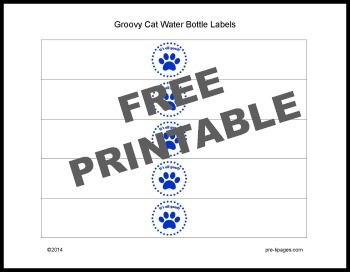 I also created these printable Pete the Cat water bottle labels for you. The labels say “It’s all good!” and fit child-sized water bottles. I included a blue version and a black and white version to save ink. Just print as many copies of the labels as you need, then cut and tape to the water bottles. Click on the picture above to download the water bottle labels. But wait, the party’s not over yet! Head over to Kathy Griffin’s Teaching Strategies for another fun activity to include in your celebration plus a free printable!